Puerto Vallarta revealed five new sculptures that were installed in different parts of the city. The works of art derived from the International Forum of Sculptors Puerto Vallarta 2017, organized by the University Campus of the Coast (CUCosta) of the University of Guadalajara (UdeG). 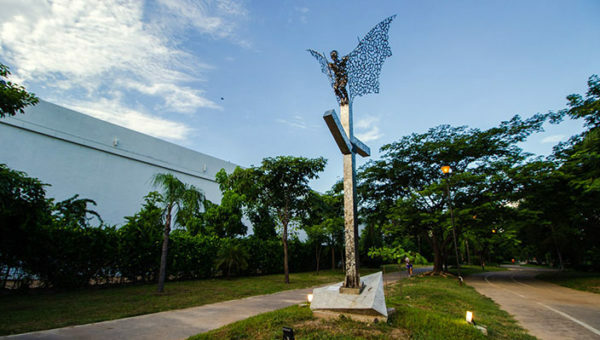 In the presence of municipal and university authorities and sponsoring businessmen, the esplanade of the La Aurora colony was the first place where the sculpture “El cuento del pescador” was unveiled. In addition to the acting mayor Rodolfo Domínguez Monrroy, executive coordinator of the forum, María Asunción Ramírez Barajas; the director of the Instituto Vallartense de Cultura (IVC), teacher Arturo Dávila López; the sponsor and general director of Corporativo Más Vacations, Vicente Aguilar Sosa; and the representative of the La Aurora colony, Juan Manuel Hernández Izquierdo all attended the ceremony. The president of Tafer Hotels & Resorts, Luis Fernando Gonzalez Corona, highlighted the role of UdeG in the promotion of art and culture while underlining the relevance of promoting greater artistic works in Puerto Vallarta with the collaboration of the municipal authority. “I dare to invite the municipal government with Rodolfo at this time, with Arturo tomorrow and with those who come, to maintain an intensely dynamic, proliferation, greater artistic manifestations and especially sculptures, throughout the length and breadth of the Municipality of Puerto Vallarta “. The Municipality of Puerto Vallarta, through the Directorate of Social Development and the IVC, together with neighborhood representatives, identified the neighborhoods with the greatest need for reconstruction of the social fabric. They also contributed to the placement of concrete bases, as well as the intervention and conditioning of the areas, prior to the installation of the sculptures donated by the University. Local representatives of the La Aurora, Infonavit CTM, and Los Sauces housing units welcomed the works built in stainless steel by sculptors of recognized prestige and international quality. The other two donated sculptures were installed in the Linear Park on the banks of the Pitillal River, and on the road to Las Palmas, at the junction with the avenue of entrance to CUCosta, respectively. Two décor styles are popular with Americans and Canadians who have a new home in Mexico. Since most of their properties tend to be near the ocean, it will come as no surprise that one of them is coastal style. Coastal decor is best described as a fun and relaxing style that stirs memories of summer vacations of lore. This is one of the fastest growing and most popular décor styles, whether you live on the ocean or just want to evoke the feel of the seaside. Natural light and fabrics, as well as ocean blue and sun-drenched white color tones, constitute the core elements of this style. From there, the category splits depending on which coast you prefer to take your inspiration: tropical, cottage, Mediterranean, or American. Tropical is reminiscent of the Pacific. Also referred to as Island style, think dark greens, floral colors, and natural weaves. Teak is also a go-to material to create this vibe. I love this style for homes that are situated in jungle settings. What an excellent way to extend the outside indoors. Cottage is arguably the most relaxed of the subsets of coastal décor style. Most furniture pieces in this style coordinate but are not matched. An eclectic approach with a common color palette is the way to tie everything together while maintaining the ultimate relaxed feel. Wood furniture made from reclaimed materials and vintage pieces that catch your interest is the best way to create this look. The Mediterranean style brings to mind the bright, terra cotta colors, lots of carving detail, heavy black iron and dark woods. This is a perfect option to decorate a home in Mexico since it evokes the old world feel of the shores of Spain. The American style of coastal décor takes a nautical slant with reflective surfaces, navy blues, and rope. Relaxed upholstery often with white or off-white slipcovers are a fixture of this coastal style. Shiplap, chevron patterns, and decorative lanterns round out the little touches that complete the style. If Coastal décor is the style that appeals, there are some beautiful interior paint colors available in Mexico. The Coastal Cool color card is one of my favorites. It gives me many options to work with depending on whether my client prefers bolder or softer colored walls. Although white shutters and horizontal blinds are common, billowing white cotton or linen drapes really make the room look relaxed. For upholstered goods, stay clear of dark colors. Instead, go light and airy with a white or cream fabric cover. With the new performance fabrics available, there is no reason to be concerned about owning a light color sofa, sectional or sofa bed. Heavily coated, yet incredibly soft, even red wine left overnight will easily roll off in the morning. Down feather filling or thick foam, with a frame that has curved arms will create this style. Choose headboards, tables, chairs and rugs constructed from natural weaves, distressed wood and wrought iron metal to complete the look. 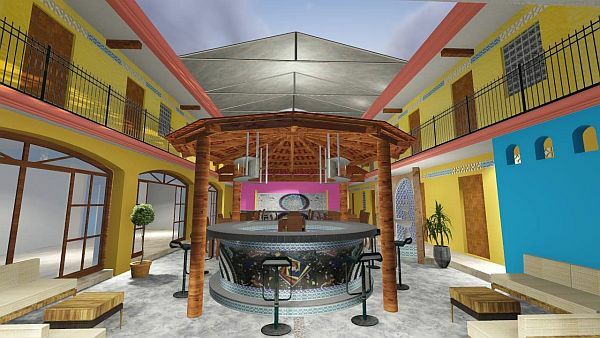 Architectural rendering of the new interior of ‘Qulture,’ a unique venue that will blend art, music and food in one beautiful setting, that is scheduled to open next month in the heart of Old Town Puerto Vallarta. Puerto Vallarta, Jalisco, Mexico – We are excited to announce the upcoming opening of Qulture in Puerto Vallarta. This unique venue will blend art, music and food in one beautiful setting in the heart of Old Town. • The Galería will open mid-August and will feature works from the resident artists as well as guest artists. Additionally, The Coleccióngift shop will feature jewelry, custom greeting cards, small prints & ceramics and Qulture souvenirs.• Bar Q, an amazing bar-in-the-round will open in late August, mid-September in the courtyard of Qulture. Open for happy hour and evening to start, it will feature art-inspired drink creations and local favorites at reasonable prices, entertainment and a dedicated dog & cigarette friendly area. • Bistro Q, the restaurant, will open late October and coincide with the grand opening of Qulture. It will be open for lunch and dinner with Saturday & Sunday jazz brunches. An ever-changing menu will feature small plates, tapas and miniature decadent desserts to compliment a light and lively lifestyle. Take-out specialty party trays will also be available. The Qulture website and Facebook page are pending further development. For more information, send an email to jim(at)livingvallarta.com. 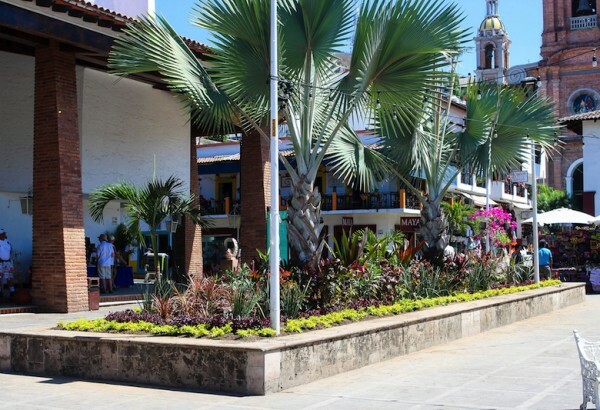 Plaza de Armas in downtown Puerto Vallarta took on a new face, thanks to the image renewal work carried out by the municipal government of Puerto Vallarta and local Garden Club, on the occasion of the Centennial Anniversary of the city. The work was completed before the start of Semana Santa, and you can already see the improvement with the placement of ornamental plants and other suitable species for this space. Beyond the plants, the benches and kiosk were rehabilitated to give greater prominence to this space. In a recent town hall session, the plenary session approved an initiative for this civil association, which has contributed to the beautification of other areas of the city, to donate the remodeling materials, gardening (ornamental plants and earth) and workers, as well as as consultant through landscape specialist André Lategan, vice president of the organization, at no cost to the municipality. In as much the City council will contribute employees of the department of Parks and Gardens, and thanks to Vallarta Garden Club, a plaque will be placed in the Plaza de Armas. The contribution of this civil organization can be seen for some years in spaces in the Romantic Zone, downtown, Rio Cuale, Mexico Avenue, among others, “for the joy of living in Puerto Vallarta,” as expressed by its members. Puerto Vallarta Artist Wins International Recognition. Puerto Vallarta, Mexico – Local artist Francisco Javier Calvillo Valdez recently received international recognition by winning second place in the 1er Concurso Internacional de Escultura Monumental de Paja y Maíz (1st International Competition of Monumental Sculpture of Straw and Maize) held in Colima, Mexico. The sculptor, who astonishes with his creations in sand on the Malecón, participated in the contest, which had artists from Mexico, Argentina, Canada, Finland, South Korea, Czech Republic, Russia and Ukraine making monumental sculptures from straw and corn, during the 2nd International Colima Volcano Festival. Mexico was represented by sculptors Carlos Ramírez Pereyra, originally from Colima, and Francisco Javier Calvillo Valdez, a resident in Puerto Vallarta. It should be noted that all of the special mentions – the Artists, Audience and Children’s Favorites, as well as the International Audience (via social networks) Awards – were won by Mexicans. 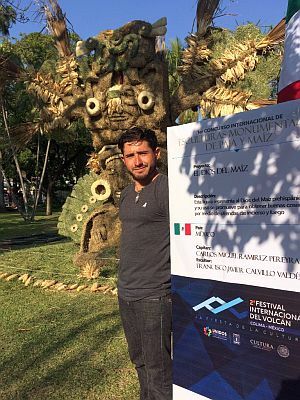 Francisco Javier Calvillo Valdez, a plastic artist from Zapopan, Jalisco, graduated from the University of Guadalajara with a Visual Arts degree. Within his artistic career, he has participated in numerous individual and collective exhibitions in diverse galleries, cultural centers, academic institutions and interventions of public spaces; in addition to his participation in forums, exchanges, contests and cultural festivals in various states of the republic and abroad. In 2008, Francisco Javier joined the world of ephemeral art with the elaboration of sand sculptures. Since then, he has worked independently to exhibit his works on the Malecón in downtown Puerto Vallarta, using his artistic discipline as a means of promoting the destination through sand sculptures. He frequently collaborates with the city in coordination with the municipal government or the Tourism Trust for various events and makes sculptures to welcome special groups of visitors to our city. The Puerto Vallarta Tourism Trust congratulates Francisco Javier Calvillo Valdez, who has great acceptance as a sand sculptor in the artistic, social and business community. Throughout his artistic career, he has developed sand sculptures for social, cultural and artistic events, for hotel and high-end residential projects and events, and for national and international companies, thereby gaining international exposure not only for his works of art but also for Puerto Vallarta. Press release translated and edited by Lorena Sonrisas for BanderasNews.com. Posted on June 2, 2017 Author Todd BatesCategories Art, Community Information, Puerto VallartaTags Art, Community Information, Puerto VallartaLeave a comment on Puerto Vallarta Artist Wins International Recognition. Exploring Crafts Towns Around Lake Patzcuaro. Most of us who get hooked on Mexican handcrafts and folk art begin with the typical tourist markets selling trinkets to tourists, with the colors and novel forms as the attraction. As we learn more, we become more interested in the processes, culture and people behind the items that we admire. Tours specifically to bring people into contact with artisans and the places they live are a growing but still niche business. So many of these towns are still neglected, in part because of tourist’s fears and in part because artisans do not know how to market themselves to a global audience. But the extra effort is worth it. Buying in the small crafts towns is that it is much more likely to buy locally-made items and even buying directly from the artisans themselves. Michoacán is one of three major producers of Mexican handcrafts, but knowledge of this lags behind the reputations of Oaxaca and Chiapas. One reason for this is that it has no major resorts. Its major tourist attraction is Patzcuaro, along the lake with the same name. Most of its tourism is national, with the exception of the Day of the Dead, when it is insanely crowded with people coming to see the marvelous traditions relating to this holiday. Although the rest of Michoacán has a number of notable crafts towns, the highest concentration of these are around this small lake. The reason is historical. In the early colonial period, authorities sent a man by the name of Vasco de Quiroga to Michoacán to bring order to the chaos created by the first conquistadores. Atrocities by Nuño de Guzman and others forced native populations to flee. Working from Patzcuaro, Quiroga not only put an end to slaughter, he also laid the groundwork for the establishment of trades to entice the native population to return. Different towns specializing in different trades, such as the working of various textiles, metals, wood, etc. carry on much of this old system. One exception in the sea of resellers is the workshop and store of Mario Gaspar, located in the first portal of the Casa de las Once Patios. Gaspar specializes in the making wood items and gourds covered in a lacquer technique that dates back to the pre Hispanic period. Lacquering is a very labor-intensive process, as is the application of extremely fine gold leaf that can be found on most pieces. Unlike the vast majority of shops, Gaspar has informative signs (in Spanish) among his wares and visitors are encouraged to see the family at work in the back and talk to them about what they are doing. Gaspar has won numerous awards over the decades, and says he is the only person doing the work in Patzcuaro. That does not mean his is the only outlet, but you will be buying what you pay good money for. Various towns work with wood, including Cuanajo, Erongaricuaro, Quiroga and Pichataro, but Cuanajo is the best-known and most-accessible for tourists, with the others having little or absolutely no indications for visitors that any handcraft activity goes on here. Cuanajo is best known for furniture in which flowers, plants, some animals and even people are carved relief-style and painted in bright colors. This furniture is easily found in Patzcuaro and is prominent in handcraft fairs such as the Tianguis and Competition held in conjunction with the Day of the Dead festival. But despite the numerous shops/workshops in Cuanajo lining the only road entering the town, few sell this iconic furniture. Today, most of the furniture made and sold here is a generic rustic or even modern design, a change that came about a decade ago or less. The reason for this is that most who come to Cuanajo are locals, whose taste in furniture has changed. Most of the carpenters can still make the “old” furniture but the few who do regularly, do so for foreign customers. Wood masks are the specialty of the small town of Tocuaro, located a short distance west of Patzcuaro. It has about fifteen blocks tops, with about five or six families dedicated to this craft and some other woodwork. The best-known name here is that of the Horta family. Wood masks are a necessity for several traditional dances, but they were not always made here. Juan Horta learned the craft in Pichataro and Quiroga and brought it back to his hometown, established a workshop on Morelos Street. The workshop still bears his name, today run by his sons. It, and the nearby workshop of Felipe Horta, are open to passing visitors. Just ring the bell. More in line with expectations is Santa Clara del Cobre, just southeast of Patzcuaro and away from the lake proper. This town specializes in the making of copper, with many of the town’s residents dedicated to it. Individual workshops may or may not advertise their presence to visitors, but the town has a small but decent copper museum, various stores on the main plaza and the main parish church is very tastefully decorated with elements made from this metal. Ihuatzio is on the eastern shore and best known for the working of reeds and rushes gathered from the lakeshore. Traditional items include baskets of varying sizes and shapes as well as sombreros. It is also home to the Tzumindi workshop, which specializes in the making of surprisingly heavy and sturdy furniture covered in the twisted dried leaves of bullrushes. The sturdiness comes from the frame, which is soldered metal over which the rushes are woven. The town center does not have shops, but there are a few on the main road that lead to the town from the highway that connects Patzcuaro to Quiroga. The next major crafts town is Tzintzuntzan. The main tourist attraction here is the local archeological site, with its unusual round pyramid/platforms. The added traffic supports a number of shops in town focusing on (mostly) locally-produced pottery and various decorative items made from straw. It is home to the Morales family. Angelica Morales is noted low fire pottery with unique line designs. 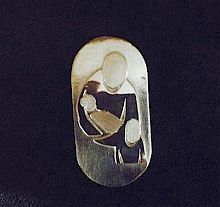 These were initially developed by her father, but she has since perfected them. Her brother Luis Manuel has gone in a different direction, introducing the production of high-fire wares with modern designs based on traditional and pre Hispanic motifs. The best-known family working with straw is that of Faustino Guzman, which can make very large and very elaborate scenes with this very simple material. North of Tzintzuntzan is Quiroga, which does have shops and stalls selling handcrafts, but the goods here are of dubious quality and origin. It is a small, crowded city, not conducive to wandering tourists. On the north shore is the very, very small community of Santa Fe de la Laguna. The area facing the highway is filled with shops selling mostly pottery to passing traffic, but there is nothing here that cannot be found anywhere else. What is worth a stop in the area is around the town plaza. Most women here still wear traditional dress (all or in part) and there are several interesting shops selling blouses, skirts and aprons, some of which are heavily embroidered and/or covered in sequins. Also recommended are the local breads that are sold on the square. The little towns around the lake are worth the visit, even if they do not have the tourist amenities that Patzcuaro has. They are real towns with real people living real lives, and pleasant surprises wait in store. In Ihuatzio, my husband and I were invited off the street to partake in atole being served in honor of the local image of the Virgin Mary and I had the best tortilla I have ever had… hand pressed and cooked over a comal on a wood fire, of course. Artisans are heavily dependent on tourism to survive. A common refrain we heard is how sales are down because of the drop in visitors to the region. Unfortunately, Michoacán has a reputation for being dangerous as it is the home of one of Mexico’s drug cartels, La Familia Michoacana. This keeps many tourists away, both Mexican and foreign. I strongly believe that any danger they may pose is way overblown. The reality is that it is the people who live in Michoacán who have far more to risk from organized crime than any tourist there visiting for a few days. I should also note that the dangerous areas are near drug trafficking routes, which are in the mountains/coast significantly west of the Patzcuaro area. It is perfectly safe to rent a car and go exploring around this beautiful countryside…. the biggest “danger” we encounter here is stray cattle crossing the road. Posted on May 18, 2017 Author Todd BatesCategories Art, Life Style, Mexico, TravelTags Art, Life Style, Mexico, TravelLeave a comment on Exploring Crafts Towns Around Lake Patzcuaro. 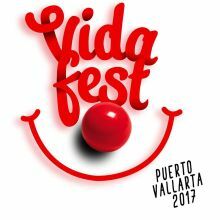 Puerto Vallarta News Brief & Weekend Events. From live music and theater to cultural festivals, sporting events, charitable efforts and special interest group meetings, there’s always something fun happening in Puerto Vallarta and around Banderas Bay. Puerto Vallarta, Jalisco, Mexico – There’s always so much going on in Puerto Vallarta and around Banderas Bay it can be difficult to keep up with it all. 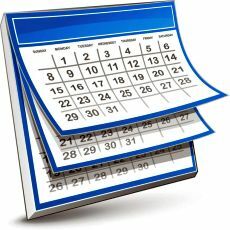 Here’s a look at some of this week’s headlines, a few community announcements and a couple of weekend events that you won’t want to miss. The Salty Paw Jazz Orchestra is coming of age fast! Officially established in September 2016, only 5 months ago, Puerto Vallarta’s first and only youth-based jazz orchestra has already been invited to perform the first Sunday of every month at The Jazz Foundation, Allende 116, just a few feet off the Malecón and across the street from La Bodegita del Medio in downtown Puerto Vallarta. While the usual big band orchestra is comprised of 18 musicians, the Salty Paw Jazz Orchestra has grown to 27 members and has already given several fundraising concerts – at Act II Stages in Puerto Vallarta, The Breakers Beach Club Restaurant and Bar in Bucerías, and at Plaza Caracol in Puerto Vallarta. The first performance at The Jazz Foundation will be on March 5th, with concerts scheduled for the first Sunday of the month, 12 months a year. Performance times will be at 7:00 pm. A supporting fee of 100 pesos, in lieu of a cover charge, will be directly donated to the band. For more information, call The Jazz Foundation at 322-113-0295. Posted on March 4, 2017 Author Todd BatesCategories Art, Charity, Local Events, Puerto VallartaTags Art, Charity, Local Events, Puerto VallartaLeave a comment on Puerto Vallarta News Brief & Weekend Events. The People of Vallarta: Introducing Quetzal. If you can make it in New York, you can make it anywhere,” he says. Many claim they will “make it” in New York City, but sadly, more often than not, many do not. Quetzal shares this statement with me; saying that by age of fifty (he is now thirty), he will be selling his paintings in art galleries throughout New York City. Given his talent, drive, commitment and passion, I (along with others) believe he will attain this desired goal. Quetzal is a determined, skilled and highly imaginative young artist who moved to Puerto Vallarta (PV) three years ago. He once owned a small gallery in Mexico City and after selling five paintings in just one week, he decided to move to the city of his dreams; PV. In his short time being here, Quetzal has already firmly established himself in the local artists community. He is involved with various groups and his work is displayed in galleries throughout the city. Quetzal continually challenges himself; his degree in graphic design is constantly enhanced through participation in fine arts workshops hosted by the famed Academia de San Carlos. The first time I saw Quetzal’s work was one year ago; at the lively, filled to the brim Art Vallarta “Frida Festival.” When I entered this funky gallery, I spotted a large, unique interpretation of a dancing Frida Kahlo. As I stood back to admire this work, I was informed it had sold within hours of opening. “That’s Quetzal,” said the curator, “his work is incredible!” I nod and murmur in contemplative agreement. Fast forward to one year later. On a day of torrential rain, I attend the bustling River of Art Fundraiser at Oscars restaurant. In amongst the numerous bodies, I spot a black and white painting of Frida Kahlo with a deer. While I lean over to examine how the artist managed to convey the deers’ softness through his brush, I see a young Mexican enter with another large, vividly coloured, Frida portrait. I follow the painting, but then step back to make room for those who rush forward to speak with him. As I wait my turn, Collette Zarry suddenly appears and introduces me to the painter. It is Quetzal, the fellow I did not meet a year ago while viewing his work at Art Vallarta. I am taken aback by his youthful appearance — I assumed the artist who had created these beautiful works would be older; someone with decades more experience and intimate knowledge about colours, composition and the brush. It is clear that Quetzal is ahead of his time. I edit this story while listening to speakers from the woman’s march in Washington D.C. Interestingly enough, many of Quetzals’ pain-tings are of women. I reach for my interview notes to locate a statement made by this talented young man. He tells me: “Art is a powerful weapon to make people understand many things. I am left those words. Quetzal is a remarkable young artist; someone who lives in a predominately Macho culture, yet someone who still manages, to honour the other. I am not a betting woman, but in this case, I bet that Quetzal will “make it” in New York. If I were you (but I am not), I encourage you run (not walk), to the nearest gallery to buy one of his paintings. This will not only be an invest-ment in your future, but also, an investment in the upcoming generation of young women, and of the beauty in this world. Posted on February 8, 2017 Author Todd BatesCategories Art, Community Information, Life Style, Puerto VallartaTags Art, Community Information, Life Style, Puerto VallartaLeave a comment on The People of Vallarta: Introducing Quetzal.